We have trained professional drivers for more than 20 years, utilizing the Smith Defensive Driving Training System. The Smith System has refined AboveAll's methods allowing us to cater to different learning styles. Focused on making learning more effective for our students. We provide a relaxed environment so our students can learn at their own pace and enjoy the experience and freedom of driving safety while obeying the rules of the road. Our students develop the confidence needed to become capable drivers with AboveAll's personalized Behind-the-Wheel driving lessons. You can schedule your Behind-the-Wheel lessons after you have completed Driver Education, passed and received your Provisional Driver Learning permit from the DMV. Students under 17½ must complete 6 hours of Behind-the-Wheel Training. Each student is picked-up and dropped off from home or at a predesignated location in Elk Grove or So. Sacramento areas. 1. Must pass a written exam. 2. Once you pass you will be issued a Provisional Driver Permit. 4. You must have your Provisional Driver Permit for six months and 1 day. 5. You must complete 6 hours of Behind-the-Wheel training with a Certified Driving School. 6. You must also complete 50 hours of practice with an adult 25 years or older. The adult must have a valid California drivers license and must certify to the 50 hours of practice. At least 10 of the 50 hours must have been done at night. Prior to scheduling your behind the wheel driving test with the DMV all of the above must be completed. 1.You must pass a written exam. 2. There are 36 questions on the test. You have three chances to pass. Once you pass you will be issued a Learners Permit. 3. When you practice, you must have an accompanying adult who is 18 years of age or older, with a valid California license. This person must be close enough to you to take control of the vehicle if necessary. It is illegal for you to drive alone. 4.There is no time requirement to take your driving test, however your permit will expire in one year. All payments must be made prior to the start of each lesson. Payments can be made on-line when scheduling your lesson. Payments by check or cash can be received at pick-up location only. Bounced checks will result in an additional $25.00 fee and the completion certificate will be withheld until payment is completed. 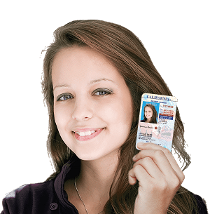 The student must have the Provisional Driver Permit or Learners Permit in their possession during the lesson. If instructor shows up at the pick-up location and the student permit is not available, the lesson will not be conduct and the student will be charged a $25.00 cancellation fee. If a cancellation or schedule change is necessary, you must notify AboveAll at least 24 hours before your scheduled appointment. If we are not notified 24 prior to the start of the lesson, a $25.00 cancellation fee will be charged. AboveAll Driving School regrets having to charge any cancellation fees, however your scheduled time slot was reserved for your lesson and our business suffers a financial loss when you cancel within 24 hours. The 24 hour cancellation fee will be strictly enforced. To cancel or make a schedule change, please log on to your account using the Book Now icon. Smoking is NOT allow during any given class or Behind-the-Wheel driver training sessions. AboveAll provides full insurance for student while taking the behind-the-wheel driver training with us.